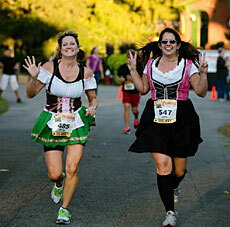 The Oktoberfest Meiler Vier is the four-mile run that is fast becoming as much a part of the Columbus Oktoberfest as beir gardens and polka. 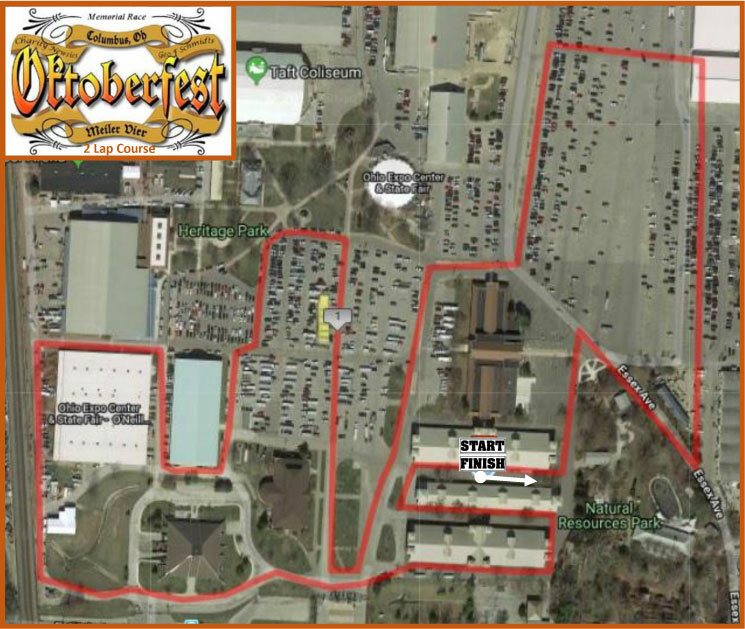 The Meiler Vier will once again kick start the Oktoberfest celebration by taking runners and walkers through a four-mile tour of the Ohio Expo Center. 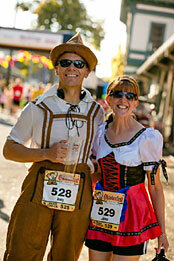 The race will begin following the traditional tapping of the kegs and the singing of the U.S and German national anthems. 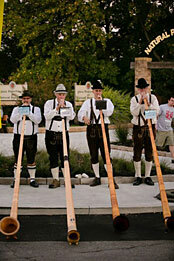 Runners will again be serenaded at the start with Alpine Horns. Afterwards, we will really get the party started, with each participant receiving a complimentary beer (Hacker-Pschor, Paulaner, Bittburger or Brooklyn Oktoberfest) and a sausage courtesy of Schmidt's Sausage Haus. The Columbus Oktoberfest is open all weekend. Make sure you stop by and say hello to Geoff, Wayne, Carla and the rest of the team at Schmidt's. Start time: Approximately 6:15pm — the race will start on the news and in conjunction with the tapping of the keg! A Free Beer and a World Famous Sausage!!! 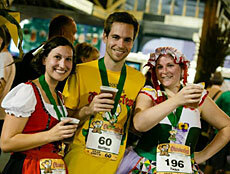 The field for the Oktoberfest Meiler Vier will be limited to 550 participants. This race sold out last year, so sign up early! Packet Pick Up will take place at Fleet Feet Sports during regular business hours on Wednesday, September 4 and Thursday, September 5. Fleet Feet Sports is located at 1270 East Powell Road, Lewis Center, OH 43035 — click here for a map. NOTE: You must pick up your packet at Fleet Feet Sports in order to get your free parking pass. Race Day parking at the Ohio Expo Center is $10 if you do not have your pass. At Natural Resources/Commercial Building at Ohio Expo Center beginning at 4:30pm.